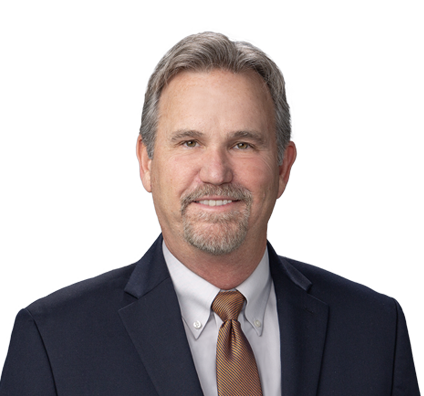 An active trial attorney, Doug protects the interests of Fortune 100 companies, large privately owned manufacturing companies, sole proprietorships and individuals in state and federal courts across the country. He concentrates his practice in the areas of civil litigation, mass toxic torts (including asbestos, silica, benzene, butadiene and other potentially hazardous chemicals), environmental litigation, product liability, consumer litigation and commercial litigation. Obtained defense verdict in a living household mesothelioma asbestos premises liability suit in a monthlong jury trial seeking millions of dollars in Beaumont, Texas. Won defense verdict for the sole defendant in a two-week personal injury jury trial seeking more than $10 million in damages resulting from an alleged premises defect (presence, installation, use and removal of asbestos insulation). Obtained defense verdict (no liability, zero damages) for the sole defendant in a six-month jury trial in a mass toxic tort action prosecuted by more than 200 individual plaintiffs seeking more than $600 million arising from alleged exposure to chemicals from a hazardous waste site. Awarded a defense verdict (no liability, zero damages) for the sole defendant in a three-week trial in Beaumont, Texas, brought by six plaintiffs claiming a variety of serious illnesses allegedly caused by occupational exposure to solvents. Obtained favorable outcomes at trial in a variety of commercial disputes involving franchise agreements, partnership breakups and breach of contract. Prevailed in multiple highly contested summary judgment proceedings in multimillion-dollar toxic tort cases, representing the client through appeal and resulting in no liability. Attained successful defense verdict (no liability, zero damages) in a monthlong, multiple plaintiff jury trial alleging occupational exposures to solvents and seeking millions of dollars in the U.S. District Court, Eastern District of Texas, Beaumont Division. Successfully defended (no liability, zero damages) an offshore drilling rig builder in a jury trial in the U.S. District Court, Southern District of Texas, Houston Division, seeking more than $180 million arising out of an alleged breach of contract to deliver three North Sea-capable Gorilla class deep-water drilling rigs. Defended a Fortune 100 company in a monthlong jury trial in the U.S. District Court, Southern District of Texas, Houston Division, involving fraud and negligent misrepresentation claims arising from a construction dispute seeking more than $150 million arising out of a remediation of a hazardous waste Superfund site in La Marque, Texas. The case was settled during pendency of appeal after the District Court granted JNOV rejecting all claims for gross negligence, punitive damages and negligent misrepresentation. Defended client in a monthlong jury trial in Houston, Texas, in a class action against an accounting firm based on claims of professional liability. The judgment was reversed and rendered in favor of defendant on appeal. Obtained defense verdict of a subdivision developer/general contractor in a jury trial of a breach of construction contract and fraud case in Houston, Texas. Handled successful class certification trial to the District Court in Kingsville, Texas, of a consumer fraud action involving approximately 1 million Texas consumers. Successfully tried a final fairness hearing in the District Court in Kingsville, Texas, resulting in the approval of a class action settlement valued at more than $100 million in cash and other benefits to approximately 1 million members of a certified consumer class in Texas. Obtained defense verdict (no liability, zero damages) for a manufacturer of drilling pipe in a jury trial of products liability claims seeking more than $5 million for an alleged down hole fracture of oil field pipe casing.